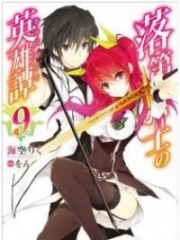 You’re reading novel King of Gods Chapter 829-832 online at LightNovelFree.com. Please use the follow button to get notification about the latest chapter next time when you visit LightNovelFree.com. Use F11 button to read novel in full-screen(PC only). Drop by anytime you want to read free – fast – latest novel. It’s great if you could leave a comment, share your opinion about the new chapters, new novel with others on the internet. We’ll do our best to bring you the finest, latest novel everyday. Enjoy! "Unfortunately, we came a bit too late…." Zhao Feng sat in the crater with slight regret. The wisps of the remaining dragon fire were quickly fading away, but they still helped Zhao Feng's Sacred Lightning Body. If this effect was several times stronger and could last a day or two longer, it might be able to let Zhao Feng's Golden Kun Sacred Lightning Body break through to the 5th level. However, such things could not be asked for. The Black Destruction Serpent Dragon had only used dragon breath to kill the Wolf Emperor. This was the first time Zhao Feng had seen this aura of dragon fire. Zhao Feng and Nan Gongsheng stayed in the crater for a couple days, and Nan Gongsheng realized that the aura of dragon fire could cleanse the wicked power of the Evil G.o.d Crystal to a certain degree. Zhao Feng multi-tasked during these two days and headed in three directions. The first was to continue absorbing the energy from the plant part of the Sky Water Crystal Lotus in conjunction with the Wind Lightning Crystal Core in order to steadily increase his cultivation. The quality of his True Yuan was starting to approach the level of a King. Once the quality of his True Yuan was at that level, most of his other aspects such as soul-strength would surpa.s.s normal Kings. The second direction was to use the aura of the dragon fire and the Spiritual Fruit from the Ancient Dream Realm to consolidate his Sacred Lightning Body. The third direction was to refine, purify, and absorb the wicked power from the Soul Suppressing Stone. The first two weren't very hard. The third wasn't very hard either, but it was very time-consuming. Luckily, Zhao Feng's mastery of the Ten Thousand Divine Thoughts Technique was still there, and it even made minor improvements after taking over another body. The aura of dragon fire from the crater was extremely faint by the third day. Zhao Feng confirmed that his Golden Kun Sacred Lightning Body had reached a limit. He would need a powerful stimulus to break through. He instinctively felt that the Black Destruction Serpent Dragon might be the critical point for his Sacred Lightning Body's breakthrough. Of course, if he wanted to use the Black Destruction Serpent Dragon's dragon breath to refine his body, that was the same as courting death. Even at the peak of his previous life, he didn't have to ability to block such powerful dragon fire head-on. Zhao Feng and Nan Gongsheng sat on the old flaming chariot and continued to follow the Black Serpent Dragon. In order to utilize the flaming chariot's fastest speed, Zhao Feng put a substandard G.o.d Crystal into it. The flaming chariot's speed instantly reached its peak, which was comparable to Peak-tier Kings. A day later, a big hole appeared in the fields ahead. "The aura of Destruction is becoming stronger. The Black Serpent Dragon seems to have arrived at its destination…." Zhao Feng murmured. In reality, countless powerful beasts would have appeared on the path they took, and it was supposed to be full of danger, but the Black Serpent Dragon had opened the way for them and killed whatever stood in the way. The destructive dragon breath aura made all beings scatter. Thus, it was a lot easier for the pursuers to follow its aura. "Zhao Feng, there seems to be many forces heading toward that direction." Nan Gongsheng felt that something was wrong. As they approached their destination, the chances of meeting other experts and groups became higher. "Ancient G.o.d's Mysterious Palace?" Zhao Feng used a Soul Dao secret technique to get this information from a lone half-step King. "Ancient G.o.d's Mysterious Palace… Ancient G.o.d!?" Nan Gongsheng's heart shook. They were both somewhat cut off from the outside world, so they only learned this information right now. If it wasn't for Zhao Feng's sharp instinct to follow the Black Serpent Dragon, they would have missed this big fortune. When the duo wasn't plundering, they were in seclusion, so their news wasn't very good, unlike all the other forces that interacted with each other. There were also some other elites with the same thoughts as Zhao Feng. They tried to follow the Black Serpent Dragon to take a little advantage or dig out some secrets of the Divine Illusion Dimension. Zhao Feng and Nan Gongsheng realized that they might be a bit behind on the Ancient G.o.d's Mysterious Palace. The flaming chariot released a brilliant glow of green flames, and its speed now surpa.s.sed normal Peak-tier Kings. The two soon reached an open land. Gazing down from above, the center of the land extended downward into the depths, as if it was going to devour the world. "The aura of Destruction is becoming stronger and stronger. It makes my heart tremble…." "Senior Martial Brother Jiu, should we continue?" The group from the Nine Darkness Palace, led by Jiu Wuji and some other upper echelons, gazed down at the depths of the crater. The Nine Darkness Palace was one of the top three three-star forces of the Great Gan Lord Dynasty. "We can only send in some elites that are willing to go in." Jiu Wuji's tone was deep. It was easy to imagine that the search underground would be full of danger. Those not strong enough would only be going to their deaths. If any group met the Black Destruction Serpent Dragon, they would all die for sure. Voices sounded from various people. Jiu Wuji soon chose ten elites, half of which were half-step Kings. This group was made up of younger elites and older elites, and the weakest had the power of a half-step King. In this period of time, some of the other forces around the crater used similar methods. In front of a hill was the force from the Duanmu Family, which was led by Zhao Yufei and the elder in green robes. "The Ancient G.o.d's Mysterious Palace ahead is extremely dangerous, and there's also the threat of the Black Destruction Serpent Dragon. The Duanmu Family will only choose about ten elites," the elder in green robes said. The Ancient G.o.d's Mysterious Palace was attractive, and many people were willing to take the risk. The ten spots were soon confirmed. "Yufei, you have the Spiritual Race bloodline. Even without the fortune in the Ancient G.o.d's Mysterious Palace, your future is destined to fly up into the Nine Heavens…." The green-robed elder tried to stop her. From his perspective, the Spiritual Race bloodline was favored by Heaven and Earth and was extremely compatible with Heaven Earth Yuan Qi. She didn't need to take such a huge risk. On the other hand, other geniuses wouldn't have any hope of breaking through to higher realms if they didn't fight for it. Some wouldn't even be able to become Kings. "I also need to fight for the fortune in the Ancient G.o.d's Mysterious Palace. If I don't even have that amount of courage, how will I revive the Duanmu Family and catch up to his footsteps?" Zhao Yufei's eyes twinkled with decisiveness. "His?" The elder in green robes had nothing to say back to her. This was the will of an expert. The reason an expert could be called an expert was not just because they were strong, it was also because they had a strong heart. In addition, a strong heart could nurture one's mind. The green-robed elder was interested in this "him" that Zhao Yufei wanted to catch up to. In the depths of a scorched, dragon-shaped crater, many small groups gathered. They were all elites. "This should be the entrance to the Ancient G.o.d's Mysterious Palace. The Black Serpent Dragon should have entered from here," the Eighth Prince said. "So, the Ancient G.o.d's Mysterious Palace is underground in the depths of the crater…." The purple-and-gold-robed Thirteenth Prince gave a light laugh. This group belonged to the Great Gan Imperials. The Eighth Prince, the Ninth Prince, the Thirteenth Prince, Luo Zun, the wrinkled elder… they were all elite Kings and half-step Kings. The imperial group had more than twenty people, and the weakest of them was at the half-step King level. "Opposite us is the force from the Sky Suspension Palace. Don't get c.o.c.ky," the Ninth Prince said in a solemn tone. Amongst them, the Ninth Prince was the strongest and most talented, and he had recovered from his injuries from the Blue Serpent King's pursuit. The imperial elites' expressions changed slightly as they glanced toward another group. On the opposite side of the dragon-shaped hole was another group. They had more than twenty people, and the person with the lowest cultivation was at the half-step King level as well. They had three Void G.o.d Realm Kings. One was a handsome and elegant youth who had reached the Peak-tier King level. Next to him were a male and female who were both Domain-level Kings. "The Sky Suspension Palace indeed sent out Xuanyuan Wen, ranked 7th on the Imperial Genius rankings." "He's only twenty-something years old and has already reached the Peak-tier King level. Such talent is unparalleled." Members of the imperial group couldn't help but sigh as their gazes landed on the elegant youth from the Sky Suspension Palace. The Sky Suspension Palace was a four-star power and had a long history. The amount of four-star powers could be counted with one hand. "Xuanyuan Wen is ranked 7th in the Imperial Genius rankings, and he should be the strongest genius that entered the Divine Illusion Dimension…." The Ninth Prince's eyes glittered as battle-intent shot out of them. At this moment in time, the two forces of the Sky Suspension Palace and the imperials were next to the dragon-shaped entrance, and they had sent in some people with unique abilities inside to scout it out. "I heard that the 9th-ranked Blue Serpent King appeared around here, but no one has found him since." The youth in white silk behind Xuanyuan Wen had a thoughtful expression. Wei Jing came from the four-star Dark Capital Cult of the Dark Moon Lord Dynasty, and he was a powerful foe of Xuanyuan Wen. Although Wei Jing was ranked 9th compared to Xuanyuan Wen's 7, no one knew who would win or lose in a fight to the death since their ranks were determined by the Great Gan Lord Dynasty. "I think Senior Martial Brother Zhuge's worry is a bit too much. Because of where the Divine Illusion Dimension connected, only a small number of King geniuses from the Dark Moon Lord Dynasty managed to enter. Although Wei Jing is strong, he won't dare to fight against this many of us." A female in apricot robes smiled, and everyone from the Sky Suspension Palace agreed with her. The place where the Divine Illusion Dimension connected determined who could enter and where they ended up. If one inspected closely, they would realize that the forces that were around this area were mainly from the center region of the Great Gan Lord Dynasty, such as the imperials and the Eight Big Families. As for Void G.o.d Realms, if they used a secret method to enter, they would end up in a random area, but it wouldn't be too far away. Around the crater, the elites of some forces were slowly moving forward. After the Black Destruction Serpent Dragon had entered, there was no more movement from it. In a hidden cave at the edges of the crater, Zhao Feng and Nan Gongsheng sat down, and their auras were starting to rise. "I'm just a little bit away from breaking through to the late stages of the Void G.o.d Realm…." The purple-and-blood-colored crescent moon on Nan Gongsheng's forehead blinked wickedly. A strong surge of Intent that could shake Heaven and Earth suddenly seemed to break through a barrier and thunder down like lightning. It had an aura of immortality, and it seemed like it could counter anything in the world. Nan Gongsheng's soul shook and trembled. His blood started to boil, and he almost spat out a mouthful of blood. This aura came from right next to him. In a hidden cave near the outer edges of the crater, a thunderous Emperor Intent shot into the sky and shook Heaven and Earth. At this moment, countless beings within a thousand miles felt as if their souls had been struck by lightning, and they started to tremble in front of this Emperor Intent. Clouds of wind and lightning suddenly formed in the air above the cave, then started to form a multi-colored whirlpool that swept over Heaven and Earth. At this point in time, Heaven Earth Yuan Qi poured into the center of the multi-colored whirlpool. Within the dark cave, Zhao Feng was covered in a majestic light. A pair of s.h.i.+ning wings dozens of yards long extended behind his back, making him look like an emperor. In just a couple breaths, the Wind Lightning Crystal Core of the King had faded by a bit. The Sky Water Crystal Lotus energy stored within his body was being compressed and refined. "Middle stages of the Great Origin Core Realm." Zhao Feng's Crystal Core expanded greatly while he was covered in the magnificent light. In just a dozen breaths, his cultivation broke through. Nan Gongsheng not far away felt his soul become suppressed, and he was unable to breathe. The magnificent Intent radiating from Zhao Feng seemed to cover everything. Zhao Feng closed his eyes as the Emperor Intent radiating from his body started to fade. It was like a tornado: it came quickly and left just as quickly. If it was a newly-formed Emperor Intent, it wouldn't have been so easily controllable. Just a short while later, Zhao Feng seemed to be a normal Great Origin Core Realm, but if one inspected closely, they would realize he was covered in a dreamy and mysterious haze. At the entrance of the dragon-shaped crater, more than twenty elites and geniuses of the Sky Suspension Palace were waiting for the scouts below. Surprise appeared on Xuanyuan Wen's handsome face as he glanced toward a certain direction. A wisp of Emperor Intent had appeared from afar, and he could feel the disturbance in Heaven and Earth clearly. The other Void G.o.d Realms only felt a weird sensation that they couldn't quite describe. "Maybe it's a native beast from the Divine Illusion Dimension. Either way, even if a normal Emperor personally came, they can't do anything to us," the female in apricot robes smiled and said. After Xuanyuan Wen Mentioned it, she and Senior Martial Brother Zhuge sensed around and felt the wisp of that aura. "It doesn't seem to be from a beast or a nonhuman race. I feel like that aura of Emperor Intent comes from a human." Xuanyuan Wen shook his head. Hearing that, the expressions of all the elites from the Sky Suspension Palace changed dramatically. If it was a human, then it was most likely an outsider that had entered the Divine Illusion Dimension. "There are countless unique people in the world. Three-star and four-star powers aren't the only places that peerless geniuses can come from." Senior Martial Brother Zhuge sighed. No one doubted what Xuanyuan Wen said. After all, he was already half a step into the domain of Emperors. However, Xuanyuan Wen and company weren't too worried. "Emperor Intent? Could it be Xuanyuan Wen's?" A voice that came out of nowhere sounded in front of one of two big rocks. "It doesn't seem to be Xuanyuan Wen. I've seen him fight. That aura and his aura are completely different…." A deep voice sounded from in front of the other rock. There was no one here, but two voices were speaking. If people saw this, they would think there were ghosts here. The two large rocks suddenly turned into two nonhuman figures. One was a tall nonhuman male. Blue scales covered his body, and he had a pair of blue horns that seemed to be similar to the Serpent Dragon race. If Zhao Feng or the Ninth Prince was present, they would be able to confirm that this person was the Blue Serpent King, Wei Jing. The other figure was even weirder. This was a nonhuman male with beady green eyes, and he seemed to merge with the surroundings. It was extremely blurry, but one could faintly see a pair of muddy-yellow crystal horns on his head. "If we team up, we have nothing to fear even against a true Emperor, but there are too many human forces from the Great Gan Lord Dynasty around the Ancient G.o.d's Mysterious Palace. We can only use our wisdom," Wei Jing said as he retracted his gaze from the direction of the Emperor Intent with a solemn expression. In a flash, the two disappeared, including their auras. "Zhao Feng, since your Emperor Intent has already recovered, who in the Divine Illusion Dimension can stop us?" Nan Gongsheng was excited. The burst of Emperor Intent just now made him remember the glory of the Left Eyed Heavenly Emperor. "My Emperor Intent has only recovered to the early stages. Although I'm not arrogant enough to say that no one can stop me, I'm not scared of anyone from the outside world." The sudden increase in strength didn't make him c.o.c.ky. He didn't dare to call himself unstoppable, but he wasn't scared of anyone. At this moment, the aura of the Soul Suppressing Stone in front of him had faded in color by over half, and some cracks had appeared on its surface. 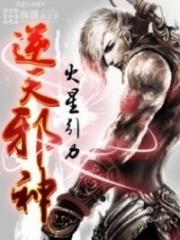 Overall, Zhao Feng's refinement of the Soul Suppressing Stone was quite fast, which was mainly due to his mastery of the Dao of the Soul as well as the help of the G.o.d Tribulation Lightning. Zhao Feng's purple Soul Sea in the dimension of his left eye had also expanded to about five hundred yards. The entire surface of the purple Soul Sea gave off a crystalline glitter, as if it had been refined thousands upon thousands of times. Zhao Feng's mental energy merged naturally into Heaven and Earth, and the laws of s.p.a.ce and various other laws entered his senses. "Hmm?" Zhao Feng suddenly sensed something and revealed a weird expression. The duo soon left the hidden cave under a layer of silver and purple. They appeared in the sky on the flaming chariot a while later. Not long after, more than a dozen sharp auras appeared in the cave. These ten figures all gave off a cold Intent as sword-lights flashed. The weakest of these auras had reached the half-step King level. The leader was an elder with white hair and a white beard. He wore simple white clothes, and his face was full of wrinkles as if he was about to enter his grave at any moment, but his eyes were extremely sharp. It was as if he could see through everything. "The Emperor Intent appeared here…." A surge of invisible Sword Intent shot out from the white-bearded elder and caused the color of the sky to change. At this moment, countless swords near the crater started to tremble. The strength of this Sword Intent wasn't weaker than a Void G.o.d Realm Emperor's. "Senior Gu Yue is indeed worthy of the t.i.tle Little Sword Saint. His understanding of the Sword Dao exceeds even some Emperors." An elite from this Sword Dao clan was full of awe, but everyone also had regret in their eyes when they looked at Senior Gu Yue. "What strong Sword Dao Intent! What is this force? All of those elites have comprehended powerful Sword Intent." Zhao Feng's eyes flashed. Apart from the white-bearded old man, they also had a cold girl in black who was also a King. Every one of these elites was stronger than Cang Yuyue. "It's the Sky Sword Pavilion." "The number one Sword Dao force in the Great Gan Lord Dynasty. They used to be a glorious four-star force, but they've fallen to a peak three-star force." A couple forces near the crater recognized the Sky Sword Pavilion. The ten geniuses from the Sky Sword Pavilion were extremely strong; they surpa.s.sed normal three-star forces. "That Emperor Intent wasn't normal. It seemed to awaken for an instant before it was quickly concealed." The white-bearded elder scanned around with sharp eyes. He noticed Nan Gongsheng and Zhao Feng in the air, but they were a Domain-level King and a Great Origin Core Realm respectively. They didn't seem like the ones he was searching for. The white-bearded elder ended up with disappointment. If the Sky Sword Pavilion was able to team up with an expert with Emperor Intent, they would make a very powerful combination, but unfortunately, no one knew the owner of that Emperor Intent. "Let's continue inward!" the white-bearded elder exclaimed, and ten powerful Sword Dao auras flew toward the depths of the crater. Some of the forces exclaimed. "It's him…! Little Sword Saint Senior Gu Yue!" The elder in green robes from the Duanmu Family couldn't help but take in a cold breath. "That old undead came into the Divine Illusion Dimension? Does he want to give it one last try?" Jiu Wuji from the Nine Darkness Palace was filled with wariness. Some of the older elites knew about the stories of the Little Sword Saint. "So, it's the Little Sword Saint from the Sky Sword Pavilion…." The imperials and the Sky Suspension Palace elites looked over. Even Senior Martial Brother Zhuge from the Sky Suspension Palace revealed admiration in his eyes. The force from the Sky Sword Pavilion soon arrived at the entrance of the dragon-shaped cave; they were the third group of elites to arrive. A while later, the Nine Darkness Palace and some other three-star powers arrived. Most people that were able to reach this place were part of a big group, but there were some rare individuals or pairs. At a certain moment, a flaming chariot arrived at the entrance of the scorched dragon-shaped crater with surprising speed. Many elites from the Great Gan Lord Dynasty gritted their teeth with hatred. However, the duo acted as if that hatred had nothing to do with them. Instead of retreating or becoming scared, a weird smile formed on their faces as they faced all these elite groups. The Purple-Haired Demonic Duo had taken advantage of many geniuses and experts present, so even though they had way more people, they didn't dare to attack. "If we calculate it, we've been in the Divine Illusion Dimension for more than a month, which is already over a third of the total time." Zhao Feng crossed his arms, and his eyes twinkled as he glanced around. His gaze landed on Xuanyuan Wen's face for a short while, and surprise flashed through his eyes before he quickly s.h.i.+fted his gaze away. No one knew that this handsome Great Origin Core Realm youth was the owner of the new Emperor Intent. At this point in time, Zhao Feng's aura was concealed very well, and he didn't want to reveal his Emperor Intent so easily. Although Zhao Feng wasn't scared of anyone present, in order to obtain the maximum amount of benefits from the Ancient G.o.d's Mysterious Palace, he definitely shouldn't stun everyone with his true power and stand at the top of the crowd. The elites of some super-forces arrived one after another to the entrance of the scorched dragon-shaped crater. Zhao Feng and Nan Gongsheng were a rare combination since they were only two people. "It's those two thieves! They even dared to plunder the imperials! What do they think of the dignity of the imperials!?" the Thirteenth Prince in his purple-golden battle robes said angrily. At this point in time, all the forces of the Great Gan Imperials were gathered here. The Eight, Ninth, and Thirteenth Princes were all here. On top of that, there was also Luo Zun and the wrinkled elder, who were Domain-level Kings. "Brother Eighth Prince and Brother Ninth Prince, we can't let those two thieves take any cut of the treasures in the Ancient G.o.d's Mysterious Palace. How about we combine our forces and kill them before we go in?" The Thirteenth Prince's face was full of hatred as he suggested from the side. His group had been plundered by the Purple-Haired Demonic Duo. This made the Thirteenth Prince extremely angry, but what made him helpless was that the Purple-Haired Demonic Duo had successfully escaped after attacking them several times. From the looks of it, the Purple-Haired Demonic Duo seemed to be doing very good. The Eighth and Ninth Princes looked at each other and hesitated when they heard the Thirteenth Prince's suggestion. "It's him…." The Ninth Prince's eyes squinted as he looked at the younger one of the Purple-Haired Demonic Duo. Back when he was running away from the Blue Serpent King Wei Jing, this youth had used the Blue Serpent King's natural domain to strengthen his body, and then the duo managed to escape. If it weren't for his guidance, the Ninth Prince might not have survived. The Ninth Prince had complex emotions toward Zhao Feng, who seemed to be covered in mist. He still couldn't see through this youth even now. The Eighth Prince and Luo Zun had wary expressions. Zhao Feng's appearance made them feel disgusted and helpless. Just a while ago, they had worked together with the Purple-Haired Demonic Duo, but instead of taking any advantage from them, they were the ones that were tricked. "Cough! Younger brother Thirteenth Prince, now isn't the best time to deal with the Purple-Haired Demonic Duo. We need to plan it thoroughly." The Eighth Prince gave a light cough. Although the imperials were really strong at the moment, there were still powerful forces around, such as the Sky Suspension Palace and the Sky Sword Pavilion. "That's right! The most important thing right now is the Ancient G.o.d's Mysterious Palace." The Ninth Prince agreed. The Eighth and Ninth Princes both seemed to be wary of the Purple-Haired Demonic Duo. If even the imperials were wary, other forces like the Jiang Family, Grand Duke Yuan's Palace, the Ji Family, and company were even more cautious and wary. "You…!" The Thirteenth Prince felt that it was very weird. Dealing with the Purple-Haired Demonic Duo was to protect the dignity of the imperials, so why did these two older brothers seem to be evading it? "Thirteenth Prince, don't be ras.h. !.+ We need to wait for a better time to deal with that wicked duo." The wrinkled elder looked at everyone's expressions, and it wasn't hard for him to guess the reason. It was obvious that the Purple-Haired Demonic Duo was infamous for being troublesome. It could be said that they were a hard bone to bite. This demonic duo not plundering people was already a good thing, and they were thinking about how to provoke them? Exclamations sounded from in front of the dragon-shaped crater as a male wearing a t-s.h.i.+rt flew through the air and descended onto the ground. "Brother Xin, are you willing to work with us? The Six Star Tower is willing to give up 40% of everything we get…." "Xin Wuheng! You're a subordinate of the imperials, quickly join us." The eyes of some leaders lit up as they invited him. One three-star power was even willing to offer up 60% of everything they got. The welcoming that Xin Wuheng got exceeded everyone's expectation. It was the complete opposite of the Purple-Haired Demonic Duo, who others tried to avoid as much as possible. Xin Wuheng and the Purple-Haired Demonic Duo acted in completely opposite ways. "Thank you for all your good will, but I haven't thought of which side to join yet." Xin Wuheng rejected all the offers calmly. The leaders of some forces had regretful expressions, but they couldn't force him. "That kid has the charm of a professional. His future can't be measured…." The white-bearded Little Sword Saint from the Sky Sword Pavilion inspected Xin Wuheng with admiration. However, Xin Wuheng also rejected the Sky Sword Pavilion's offer without any hesitation. "Brother Zhao," Xin Wuheng greeted the Purple-Haired Demonic Duo that everyone tried to avoid with a complex expression. The younger one, to be precise. After all, they came from the same hometown and were once on par with each other. All the other forces looked over. What kind of history did this purple-haired youth have? Even Xin Wuheng knew him and greeted him. Furthermore, there was a complex and solemn expression on Xin Wuheng's face. "Could it be that Zhao Feng of the Purple-Haired Demonic Duo is someone on the same level as Xin Wuheng?" The groups from the Jiang, Ji, and Cao Families guessed. "He's indeed stronger and more mysterious than I imagined." Shock appeared on Ji Lan's face. She was the one who had been counterattacked by the G.o.d's Spiritual Eye. No matter what was said, the wickedness and mysteriousness of the Purple-Haired Demonic Duo was imprinted into their minds. At this instant, another group of elites arrived near the entrance to the dragon-shaped crater. In the very front of the group was a girl in purple. She was extremely pure, and she attracted everyone's attention instantly. "Zhao Yufei! Even though her surname isn't Duanmu, she's a member of the Duanmu Family. Apparently, the Grand Elder of the Duanmu Family took her in as a step-daughter. She's also said to have the bloodline of the Spiritual Race…." Some people started to discuss. For most of these elites, this was the first time they were seeing this daughter of Heaven. "Zhao Yufei… Bloodline of the Spiritual Race! Master said that she'll be a powerful foe of mine in the future. Her bloodline means that she is destined to fly across the Nine Heavens." This was the first time Xuanyuan Wen truly inspected someone. The female in their vision was gorgeous and pure. A glow came from her snow-white skin, as if she was a n.o.ble and elegant G.o.ddess of jade and ice. Even Xuanyuan Wen, who had seen many beauties in four-star powers, was stunned by her appearance. "Sister Yufei!" The Thirteenth Prince's eyes lit up, and he revealed a joyful look as he went to welcome her. Many of the forces present knew about the news between the Thirteen Prince and Zhao Yufei. It was very likely that these two would become a couple in the future. This wasn't just the Sacred Emperor's intention, there was also a big momentum pus.h.i.+ng this. Looking at the G.o.ddess of his dreams approaching, the Thirteenth Prince tried to control himself, but he couldn't stop the admiration in his eyes. In the depths of his heart, he already thought of this perfect girl as his fiancée. However, an unimaginable scene happened. The elegant girl in purple acted as if she hadn't seen the Thirteenth Prince; her pair of eyes only locked on to one person. The Duanmu Family, the imperials, and all the other families felt that something was wrong. The direction that Zhao Yufei was staring in was where the Purple-Haired Demonic Duo was standing. "Could it be that the Purple-Haired Demonic Duo offended Zhao Yufei as well…?" Many of the experts present clicked their tongues. "Yufei, don't worry. I will definitely help you punish those two thieves!" the Thirteenth Prince said confidently with a bright smile. In order to get the heart of the G.o.ddess of his dreams, he was willing to kill the Purple-Haired Demonic Duo no matter the price. If he insisted on attacking, the Eighth and Ninth Princes had to do something too, so the Thirteenth Prince immediately gathered his forces and was about to surround the Purple-Haired Demonic Duo. "Stop!" A shout and a strong surge of Spiritual Race bloodline aura stopped the Thirteenth Prince. The Heaven Earth Yuan Qi nearby instantly turned into a storm, and all the experts present felt their bloodline and True Yuan shake. "Sister Yufei, you…" The Thirteenth Prince was dumbfounded; he didn't understand why the G.o.ddess he was trying to impress suddenly became angry. 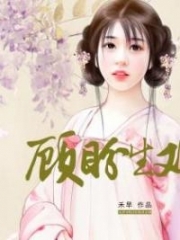 At this moment, Zhao Yufei's eyes became watery as she turned into a streak of purple and sped toward the younger purple-haired youth. "Yufei!" The elder in green robes and the others from the Duanmu Family were caught off guard. This was the first time they had seen such strong emotions come from this daughter of Heaven. "Brother Feng… is it really you?" Zhao Yufei's eyes were filled with water, and she had nothing else in her heart apart from the wicked purple-haired youth in front of her. The familiar hair and familiar gaze made her more certain. The Eighth Prince, the Ninth Prince, Luo Zun, and company from the imperials were dazed. The emotions on Zhao Yufei's face meant something - the relations.h.i.+p between her and Zhao Feng was probably very close. "Both of their names are Zhao, could it be…?" The Eighth Prince and Luo Zun couldn't help but look at each other, and a guess formed in everyone's hearts. They all thought that the relations.h.i.+p between the two was "brother and sister." "Yufei… it's me." Zhao Feng's tone was deep. Seeing his childhood friend and the girl he sort of liked, he felt complex emotions and didn't know how to face her. When he was younger, his emotions were wooden; he only felt good will toward her at the beginning. Only after that did he start to feel like a brother toward her. However, emotions poured past the initial barrier and formed over time, like a bottle of wine. The smell radiating from it made one unable to resist it. There was no such thing as eternal promises or love to the bone, only the continuous erosion of time. "Brother Feng, why didn't you tell me…?" A purple figure leapt into Zhao Feng. Maybe it was because Zhao Yufei had confirmed that it was Zhao Feng due to his soul, she had forgotten that this body wasn't Zhao Feng's original body. Zhao Feng's hand touched something wet, and he felt speechless as he hugged the beauty. "Yufei…!" The Thirteenth Prince shook, and his entire heart turned cold. He instinctively felt that the relations.h.i.+p between Zhao Feng and Zhao Yufei wasn't just that of brother and sister. The Great Gan Imperials, the big families, and the super prodigies were all dumbfounded and dazed. Those from the Duanmu Family were also stunned; this elegant daughter of Heaven who had a n.o.ble bloodline was hugging a youth who was one of the infamous Purple-Haired Demonic Duo. You're reading novel King of Gods Chapter 829-832 online at LightNovelFree.com. You can use the follow function to bookmark your favorite novel ( Only for registered users ). If you find any errors ( broken links, can't load photos, etc.. ), Please let us know so we can fix it as soon as possible. And when you start a conversation or debate about a certain topic with other people, please do not offend them just because you don't like their opinions. You're reading King of Gods Chapter 829-832. This novel has been translated by Updating. 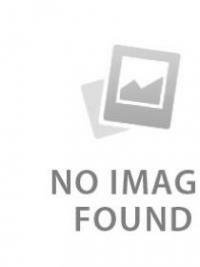 Author: Fast Food Resturant,快餐店 already has 3425 views. Current Time is Apr-20-2019 06:54:57 AM.